Those of us who live in the northern hemisphere and look a little at the sky are very easy to find the constellation of Orion when we look to the west. Its hourglass shape with bright stars at the edges and its three stars in the center is very easy to recognize and see even on dark nights. 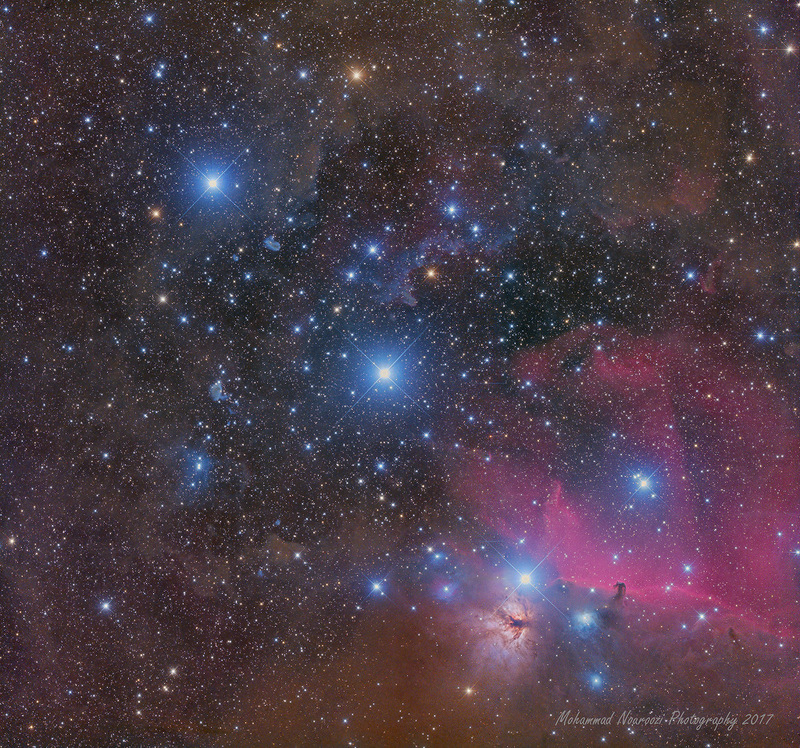 What few are fixed is the so-called Orion belt, its three stars in the center: Zeta, Epsilon and Delta Orionis. Between 900 and 1600 light years away are surrounded by a gas nebula generating new stars and where, if we observe with a telescope, we can observe the very famous horse head between the nebula that is, as you know, dark cosmic dust that covers the light coming from the nebula. We are not missing gas, but there is gas that catches light. A wonder for any astronomer and a preciousness for anyone interested in heaven.